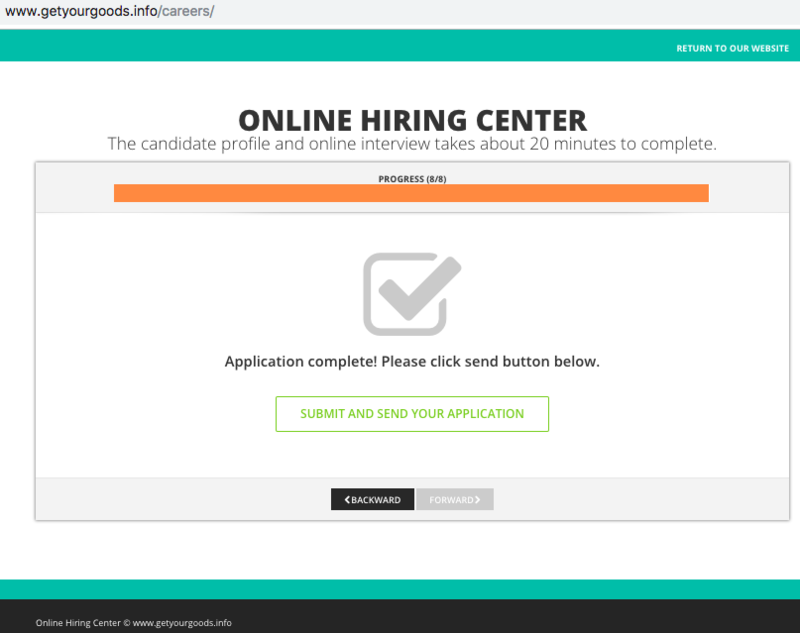 An “Online Hiring Center” that asks us for limited personal information such as name, address, phone number, and email. 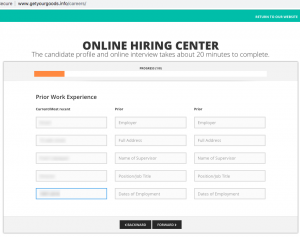 This was followed by fields for prior work experience. What followed these fields completely surprised us. 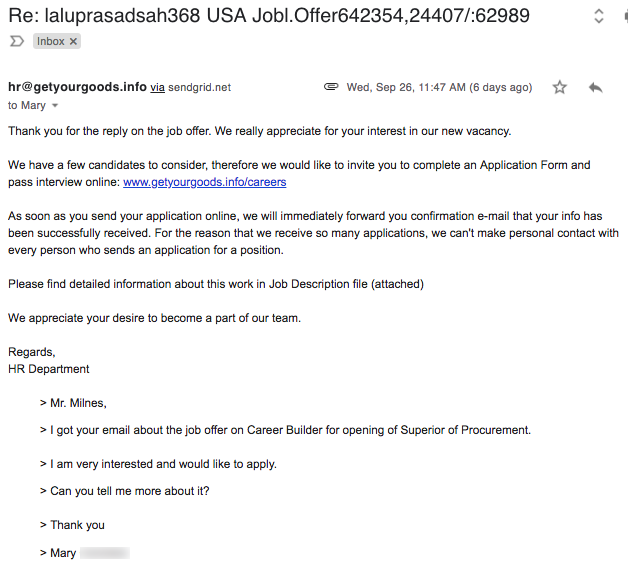 It is the most extreme example of interacting with a scam victim… errr, we mean job candidate, without actually speaking to him or her in the Interview process. 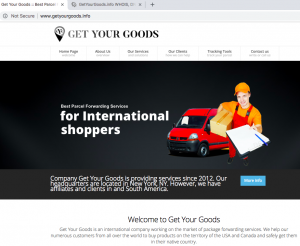 GetYourGoods[. ]info presented us with a series of YouTube Channel interview questions! We were asked to click 20 videos, listen to the question in each and enter our response in the field under the video! The two presenters in these videos both had British accents. We unearthed the source of these videos on YouTube and learned that they were all uploaded to a YouTube Channel called “Job Interview System” in November, 2015. This Channel is unlisted on YouTube, has only 18 subscribers as of October 8, 2018, and no other content. 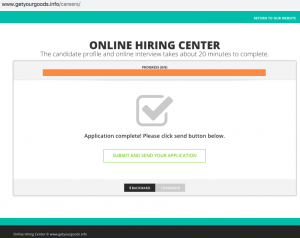 Finally, after responding to all twenty interview questions for our personal and thorough “job interview” we were told by the website that our application was complete! At that point we were redirected to the GetYourGoods[. 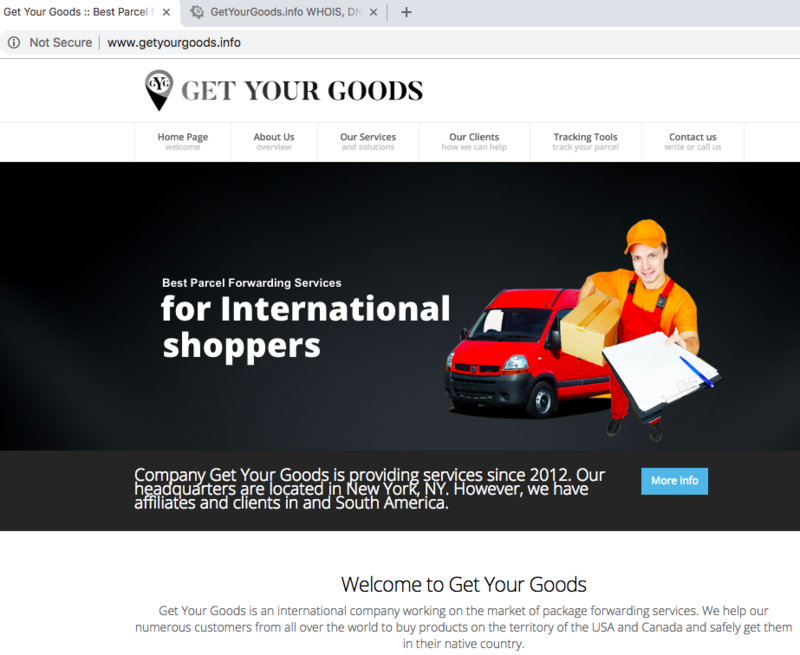 ]info website where we could look for more information about this innovative international company for international shoppers. 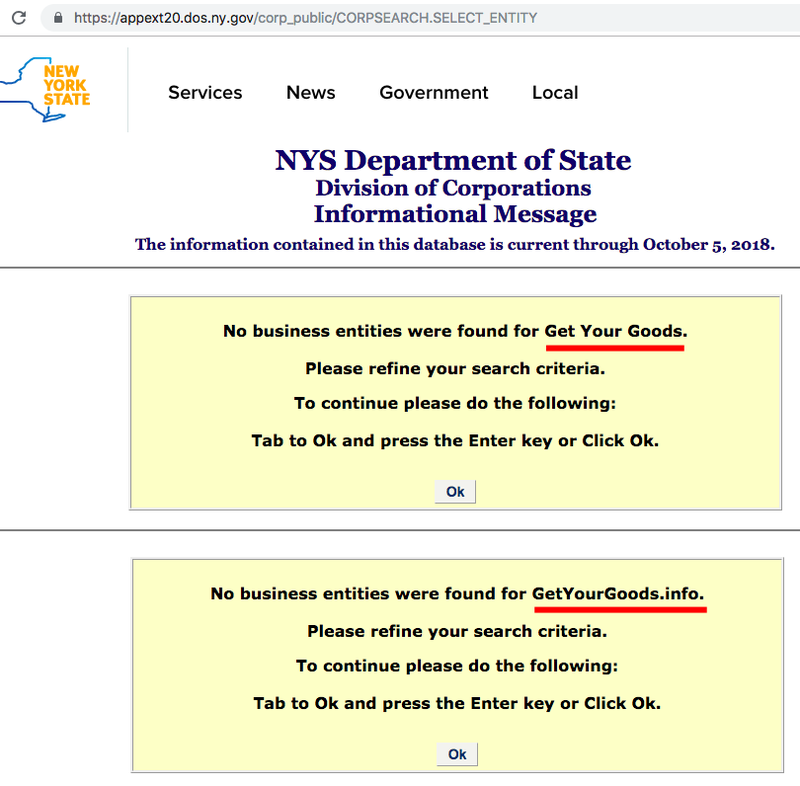 But who is GetYourGoods[. 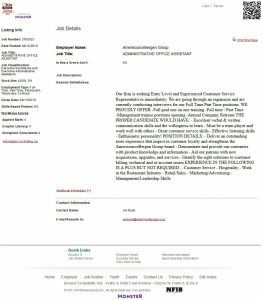 ]info and what do we know about them, besides the fact that they don’t want to see or speak to the people who apply for their jobs? 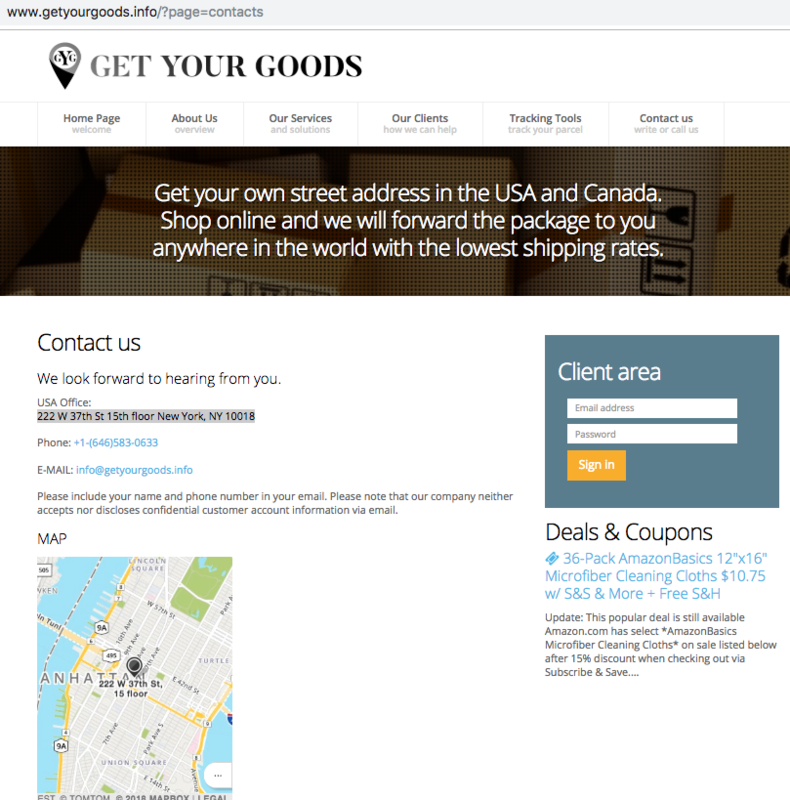 GetYourGoods[. 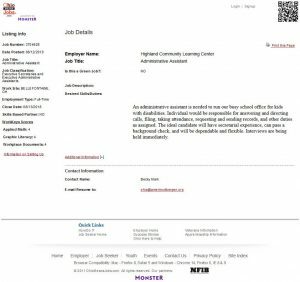 ]info is a domain that was registered on July 20, 2018 (just a couple of months before it came to our attention) by someone identified as “Ernest Wylie” from Florida. Despite checking multiple WHOIS registries, there is no email address, no physical address listed, or other company information for this registrant. Just a name and state. We used Spokeo.com to locate anyone with the name “Ernest Wylie” in the state of Florida and found only one option, though with a different first name, and with Ernest as his middle name. 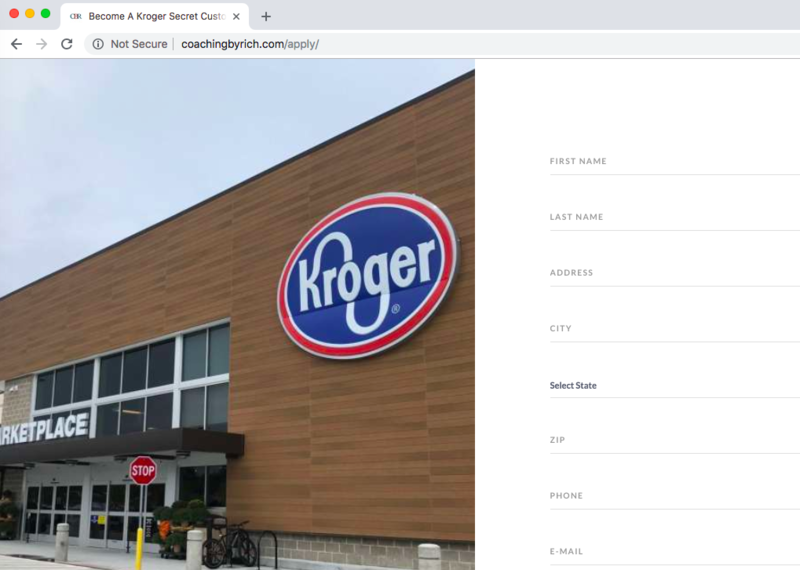 We called and spoke to Mr. Wylie on October 9 and he informed us that he did not register the website, has no knowledge of it, or connection to it at all. 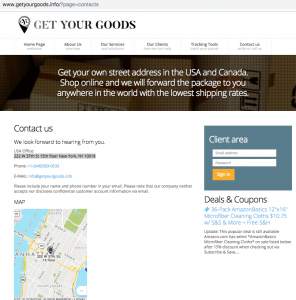 We used several online tools to conduct a search for any business in New York called GetYourGoods[. ]info, GetYourGoodsand Get Your Goods. 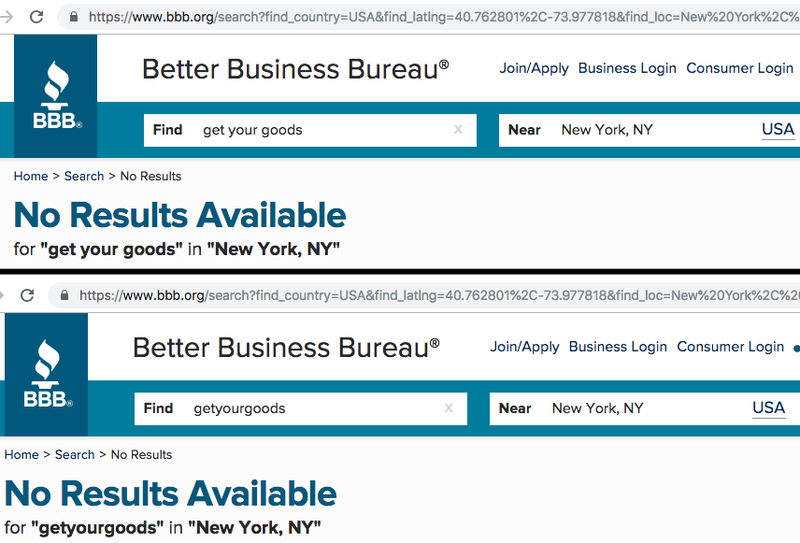 These tools included the Better Business Bureau, New York Department of State, and New York Biz List. All search results came back negative. No such business could be found. We also tried calling the phone number listed on the website on a Monday afternoon but it simply rang without anyone picking up. Though the GetYourGoods[. 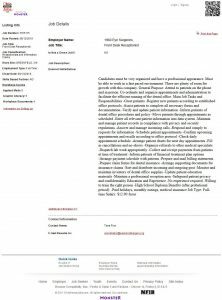 ]info website is quite extensive, we couldn’t verify anything from it, except the email Mary received from the HR Department several days earlier. Businesses are generally in the business of providing a service and generating income and jobs for employees and company owners. This usually means that the business tries to promote itself, and make itself known through advertising or social media. 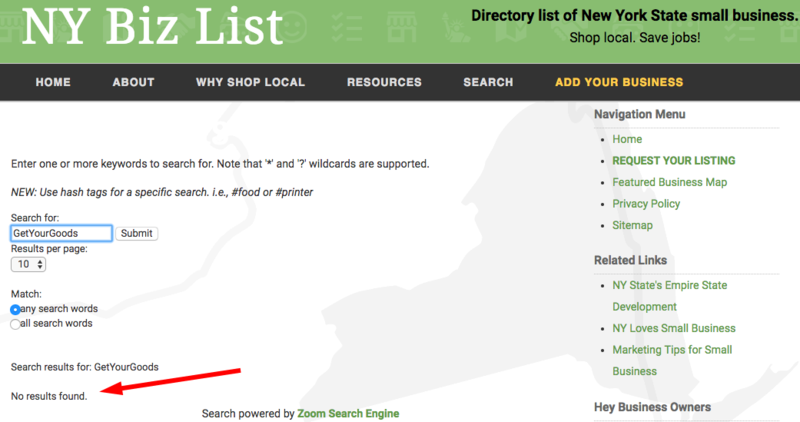 And yet, we couldn’t find anything about GetYourGoods[. ]info EXCEPT their website! No reviews, no list of clients, no references except for a few quotes that scroll on one of their web pages. Here are two we particularly enjoyed…. The point here is that this graphic seems to be used by many delivery services outside the United States. 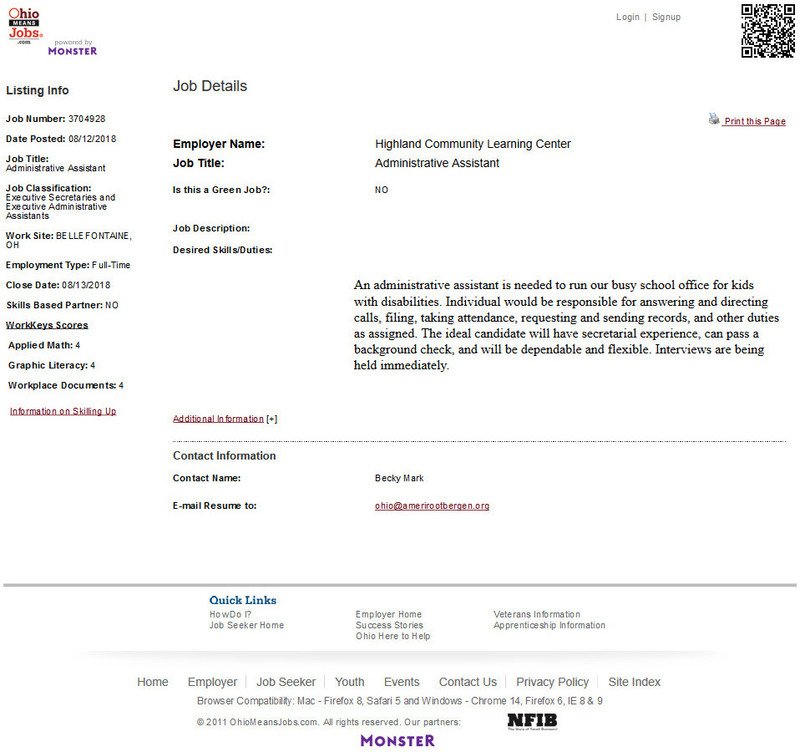 The images and professional looking website don’t mean this job is legitimate or legal. 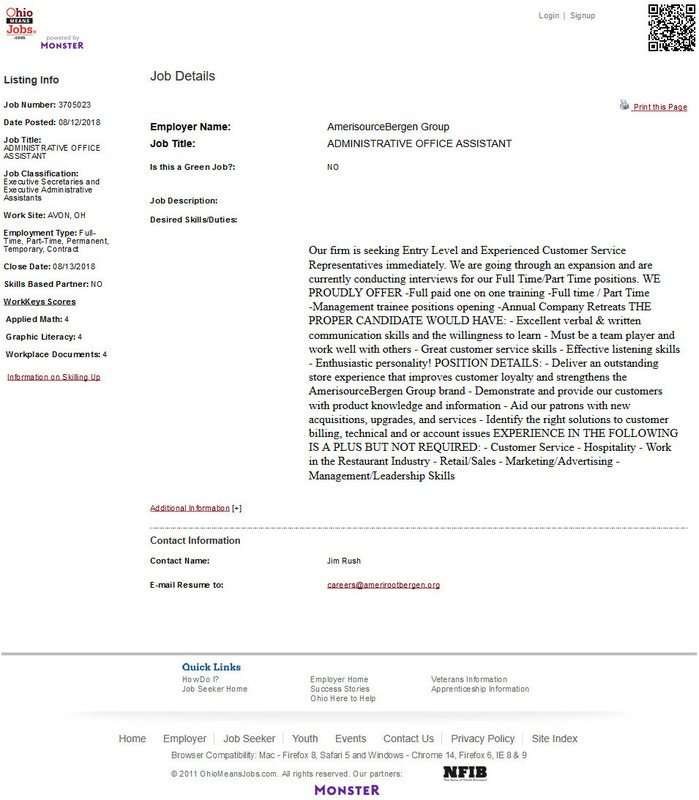 Take a look at this first scam job that appears to be posted by the very real company called “Star Consultants.” If “Marilyn Jones” of Star Consultants is looking to interview people for the position of Office Manager/Administrative Assistant, then why did she list her email address as coordinator “@” amerirootbergen[. ]org instead of @starconsultants.org? Star Consultants is a long established firm and easily verifiable. However, who is Amerirootbergen[.]org? The domain Amerirootbergen[. 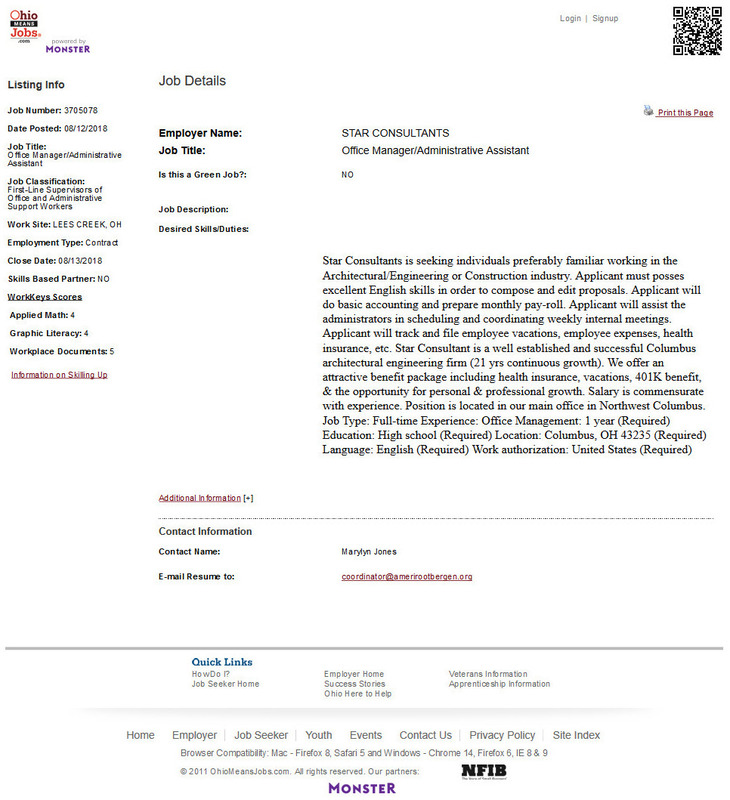 ]org was registered on August 8, 2018, just 4 days before this job was posted. It was registered through a private proxy service and is being hosted in Amsterdam, Holland, though no website can be found for it. Google knows nothing about it. 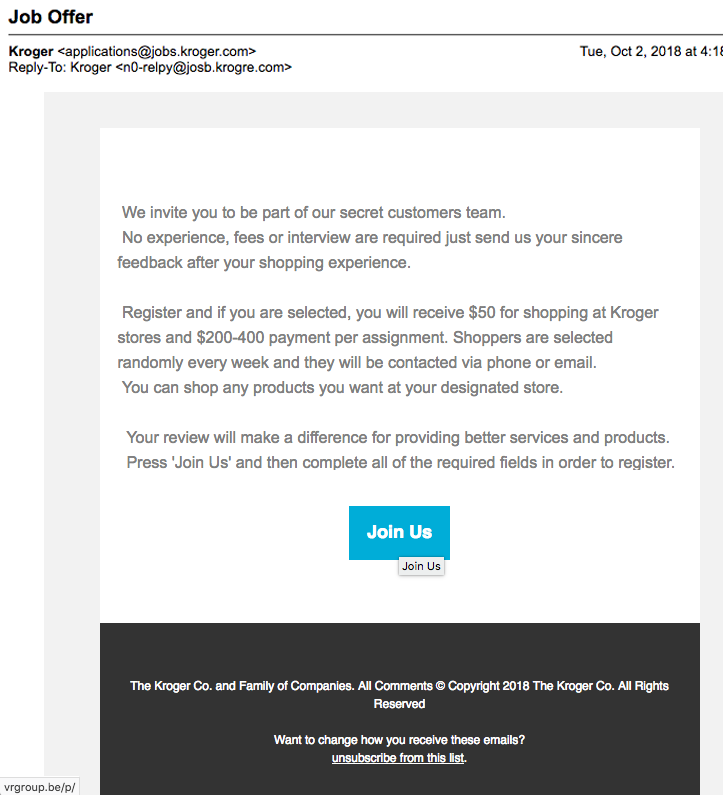 No article about job scams would be complete without some mention of the “Mystery Shopper” scam job! We’ve written about it many times, but like a “bad penny,” it always turns up. Most recently, it turned up in our inbox! 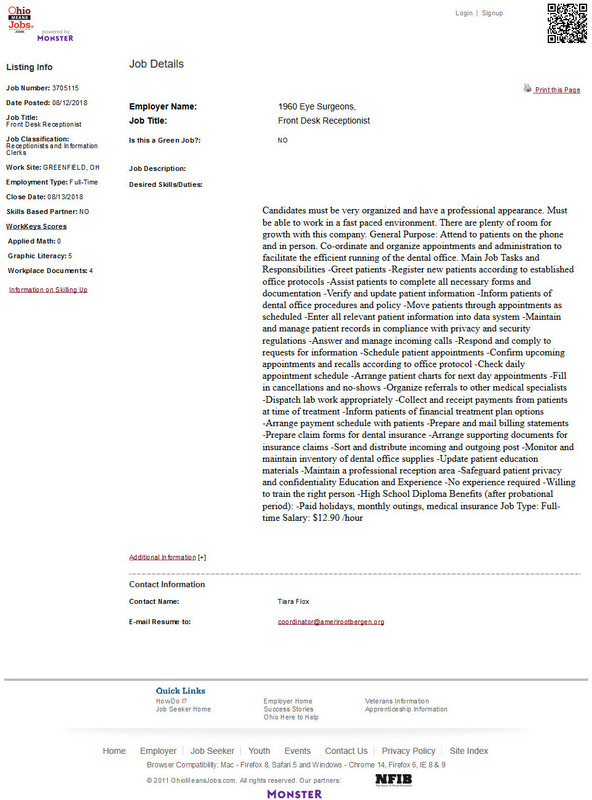 (Notice the “reply-to” address in this email. 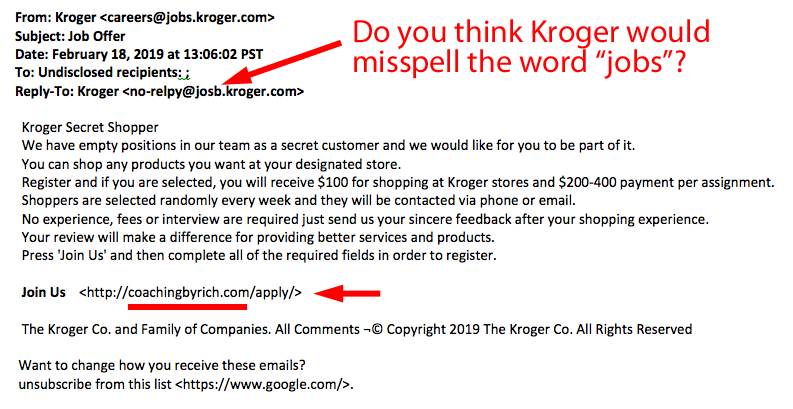 It is for “krogre.com” not kroger.com. The link for “Join Us” pointed to a hacked website in Belgium called VRGroup.be. This Belgium company is an international drink importer! Fortunately, they quickly discovered the misuse of their website and removed the offending pages. At the end of 2018, these scammers tried this trick again. 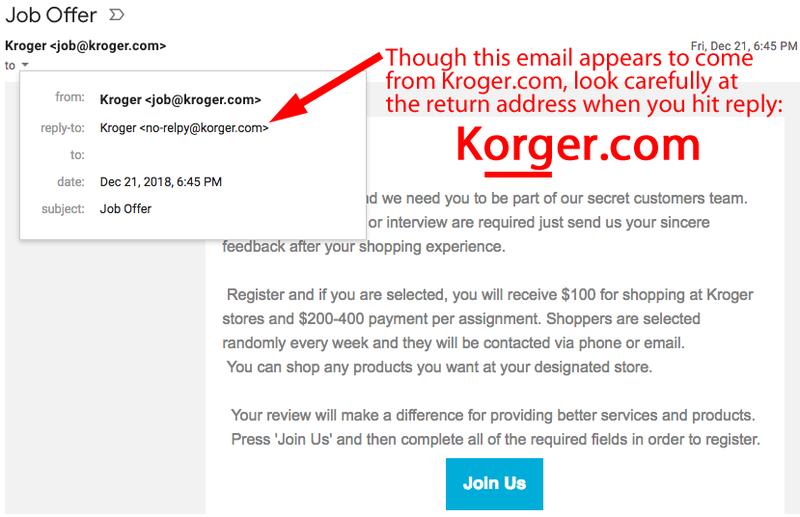 This time the “reply-to” address will send your email to Korger[.]com! Korger[. ]com was registered in the Cayman Islands and is hosted on a server in Germany last time we checked. Also, be very skeptical if you receive random emails like this one that came from a server in France (2-letter country code = “.fr” but you are asked to reply to a different address. And they didn’t even list the country! 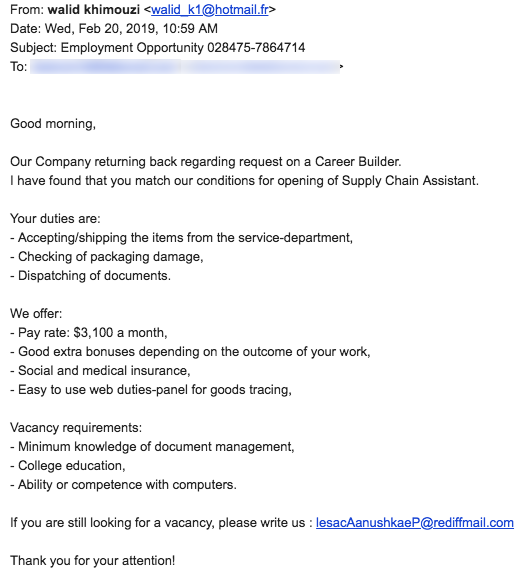 Over the years we’ve written about many job scams of many kinds. Here are links to some of these scams. Enjoy!